*** The PLA at 90: On the Road to Becoming a World-Class Military? 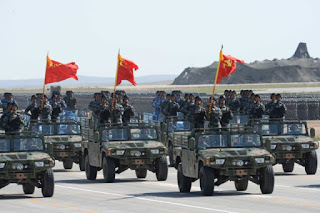 China recently celebrated the 90th anniversary of the founding of the People’s Liberation Army (PLA) with a parade and military exercises at the Zhurihe Training Base in Inner Mongolia (CCTV, July 30). Although the display was characterized as a demonstration of China’s growing military might—particularly new equipment and weapons platforms, including advanced missiles and aircraft—the event also provided important indications of the PLA’s approach to operations and the first-ever demonstration of an actual military operation during a parade. The PLA’s anniversary celebration thus reflected its progress toward becoming a “world-class military” and confidence despite remaining challenges related to the ongoing, historic reforms. Shortly after the parade, Xi Jinping announced: “The PLA has basically completed mechanization and is moving rapidly toward ‘strong’ informationized armed forces,” achieving the 2020 goal of its “three-step development strategy” (PLA Daily, August 2). 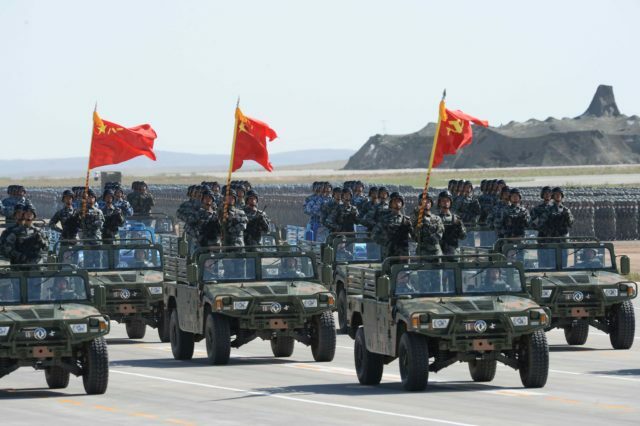 Traditionally, PLA parades such as those held in Beijing in 2009 and the 2015 Victory Day Parade—have tended to be highly choreographed displays that are counterproductive in terms of the force’s operational capabilities in actual combat (实战), taking considerable time away from training for the units involved (China Brief, September 24, 2009). For prior parades in Beijing, units from all over the country were required to send personnel and equipment to prepare for the drive down Chang’an Jie months in advance, losing the opportunity to train in a more realistic way for almost an entire training season. A stalemate in the Himalayas, a three-way territorial struggle, fears of foreign hegemony and dreams of a commercial invasion involving the centre of world manufacturing ... sound familiar? On February 16, 1768, the Court of Directors of the East India Company in London wrote to Warren Hastings: “we desire you to obtain the best intelligence you can whether cloth and other European commodities may not find their way to Tibet, Lhasa and the Western parts of China.” This spurred the British exploration of the Himalayas, an effort that has led today to the face-off between the two giant armies of India and China, who now stand on the brink of war. The Doklam stand-off was inevitable. It may be resolved peacefully but it is a manifestation of the larger geopolitical contest that is playing out in Asia between India and China. How do we respond? Economically, it is a no-contest because it is only in 2030 that India will reach the size of China’s 2014 GDP. Perhaps the answers lie in geography. 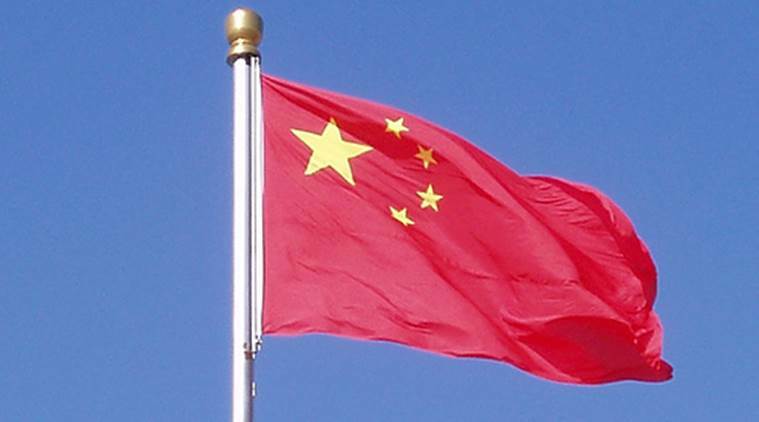 Expanding from its peripheries, China has economically secured its borders. Trade with the five Central Asian republics has risen from $1.8 billion in 2000 to $50 billion in 2013. Northward, the Han Chinese have moved into inner Mongolia and invested heavily in underground metals in Mongolia. About 90 per cent of Mongolian exports go to China. The Chinese population in its Northeast region is also slowly creeping across the border into the Russian Far East. In Southeast Asia, the economies of the Association of Southeast Asian Nations (ASEAN) are closely tied to China. The total trade volume of ASEAN with China is projected to increase to $1 trillion by 2020. Chinese presence in Afghanistan and its massive investment in the China Pakistan Economic Corridor has enabled China to effectively skirt the Himalayan barrier and come to India’s northwest, a region to which India has been historically sensitive because it was the main invasion route into the Subcontinent. Moving into South Asia, China has become the largest trading partner of Pakistan, Sri Lanka, Bangladesh and Myanmar. It is developing the Gwadar port in Pakistan, has taken over the operation of Hambantota in Sri Lanka and operationalised the gas and oil pipelines from Myanmar’s Kyaukpyu port to Kunming. However, the Chinese also have major geographical weaknesses in the maritime domain. 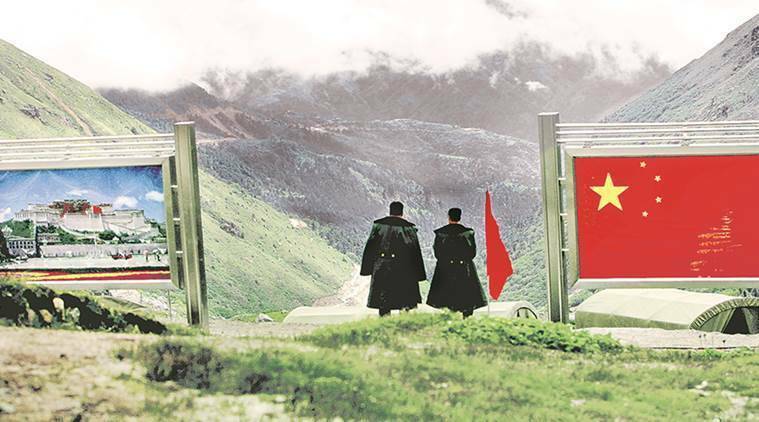 In the past decade or so, India has “militarily tailored” its defences along the Himalayas and China could be surprised if an armed clash breaks out. A repeat of the 1962 debacle, when Peoples Liberation Army of China, with a few exceptions, literally overran the Indian military defence, is just not possible in 2017, is an assessment in India. In early 2004, India stepped up efforts to secure areas along the 3,488-km Line of Actual Control (LAC) — the de facto boundary. 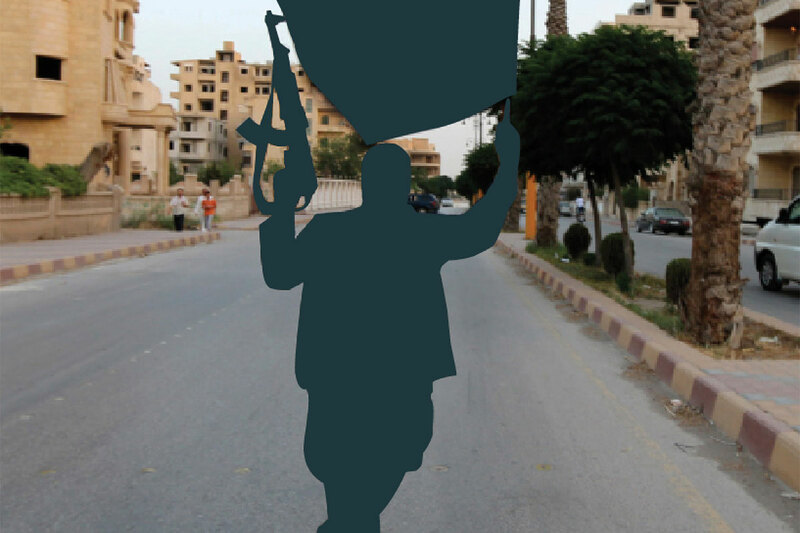 Every possible route of ingress is continuously “war gamed” by the Army. “War-gaming” is an art of predicting future outcomes of military postures of rivals, fine-tuned by regular military exercises with the IAF, study of satellite imagery and available inputs. Since 2004, around 60,000 troops have been added along the LAC. This includes three new Army divisions and three additional brigades. Part of these form the newly raised Mountain Strike Corps. As of now, India has some 14 divisions (13,000-14,000 troops in each) — facing China that has 15-16 divisions facing India. 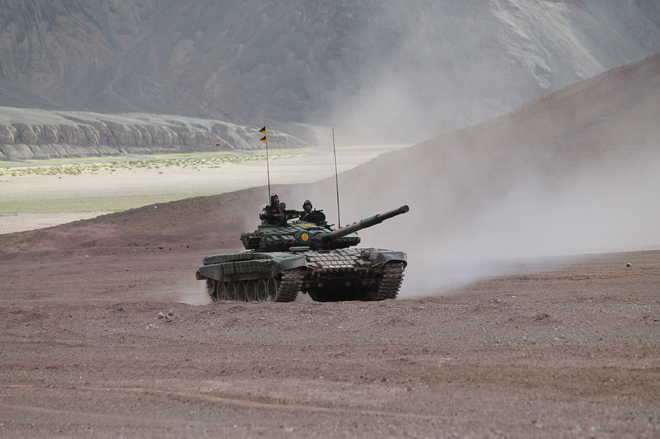 Over the past five years, a few regiments of tanks have been added to the mechanised forces at specific places in eastern Ladakh and northern Sikkim. In Arunachal Pradesh, India has added troops. It has converted six British-era mud-paved runways into fully paved landing grounds for the IAF. One of these can be a forward base for the Sukhoi-30 MKI fighter jets. Leh has an airfield with abilities to launch 24x7 strikes. Kargil and Thoise in Ladakh have functional airfields. When the British partitioned India and departed the subcontinent 70 years ago, the delineation of the border between the new states of India and Pakistan — the Radcliffe Line — had not yet been released. That would have to wait two more days. Although the boundary was finalized on August 12, it was published on August 17, 1947, ostensibly to avoid confusion on independence day itself, and in order to buy more time to manage the chaos that was sweeping throughout the provinces of Bengal and Punjab. The Earl Louis Mountbatten, the last British Governor-General of India, also allegedly did not wish for the question of the boundary to take precedence over the independence day celebrations he would preside over in Karachi and Delhi. As a result, when India and Pakistan became independent, some border districts incorrectly believed themselves to be one or the other of those two countries, when in fact, the opposite was the case. This is first time that the Indian Army will operate U.S.-made Apache attack helicopters. The Indian Army’s Aviation Corps (AAC) will soon operate six U.S.-made AH-64E Apache heavy attack helicopters following today’s approval of the purchase by the Defense Ministry’s top procurement body, the Defense Acquisition Council (DAC), headed by Indian Minister of Defense Arun Jaitley. President Donald Trump will again consider his options for the 16-year-old Afghan War on Friday when key members of his Cabinet convene at Camp David — a discussion that his advisers and key lawmakers hope will bring an end to the administration’s drawn-out strategic review. “We are coming very close to a decision, and I anticipate it in the very near future,” Defense Secretary Jim Mattis said Thursday of the meeting, which will also include Secretary of State Rex Tillerson, CIA Director Mike Pompeo and other national security advisers. In an earlier Pentagon appearance Monday, Mattis told reporters that “all options” are still on the table. The options the Pentagon is presenting are straightforward, and nothing the president has not seen before: Stay the course with the current strategy, which combines counterterrorism with a relatively narrow advise-and-assist mission to support Afghan government troops; add the several thousand additional American forces that the top U.S. general there has asked for; send in private contractors; or withdraw. Significantly, China and Bhutan have no official diplomatic relations; yet both have held several rounds of talks on boundary demarcation and have pledged to resolve their border differences peacefully. In 1988, China and Bhutan signed an agreement on the “Guiding Principles” and in 1998 they signed an agreement on “Maintenance of Peace and Tranquility in the Bhutan-China Border Areas.” As per these agreements, both countries committed to resolve the border dispute peacefully through dialogue and consultation, and restrain from any activity that would threaten the peace. Both committed to uphold the status quo and not change either their borders or establish physical presence. In essence, both agreed to uphold their respective border positions established prior to March 1959. Even as growth slows, there’s a sizable, and sophisticated, pool of luxury shoppers in China. But brands need to take a new approach to keep them interested. Could luxury lose its appeal for Chinese consumers? And how will this weigh on the outlook of the global luxury market? These are some of the questions we address in our latest analysis of Chinese demand for luxury goods. For more than eight years, we have been monitoring the evolution of Chinese luxury consumers and their increasing influence on the global luxury-goods market. Our latest research focused on understanding the fundamental attitudes and behaviors of Chinese luxury consumers. This article, based on our report Chinese luxury consumers: The 1 trillion renminbi opportunity, looks at some of our findings. First we consider the role of Chinese consumers in the global luxury market, then look at ways their buying behaviors have evolved, as well as at shopping patterns at home and abroad. Finally, we present some of the implications for luxury players trying to tap into this market. Information warfare—or information operations (IO) in US military doctrinal parlance—transcends any single leg of the Clausewitzian trinity (the soldier, the state, and the people) and requires a concerted approach across all disciplines to be coordinated and effective. Currently, these efforts remain stovepiped within the US government and lack the coordination and partnership necessary for success, as Curtis Kimbrell highlighted in a recent piece for MWI. Of the four instruments of national power (“DIME”—Diplomatic, Information, Military, and Economic), the “I” has often been obscured by its more tangible counterparts. But never before has the “I” been so significant than in the Information Age. Optimizing efforts to deter foreign influence on the American public and conduct effective information operations requires an independent agency trusted with a more extensive task than existing government and military entities operating in the information environment. With adversaries and competitors continuing to demonstrate effective central planning in information warfare, it is increasingly clear that the US government can no longer let each of its components fight piecemeal. Creating an overarching agency to coordinate information operations across the US government is the only way to coordinate whole-of-government efforts and effectively utilize the array of US capabilities across the global information environment. The global financial crisis that erupted in 2008 shows, with painful clarity, that we live in an interdependent business world. In bleak times and fair, the success of a company’s strategy often depends greatly on the strategies of its competitors. In periods of financial turmoil, for instance, the prospects—and even survival—of a bank often depend on the near-term M&A of its rivals. Similarly, the ultimate success of Boeing’s new commercial jet, the 787 Dreamliner, will depend on the way Airbus positions, markets, and sells its new and competing A380 and A350. Pfizer’s ability to sustain market share and profitability in the market for cholesterol-lowering treatments will depend on the moves of the company’s branded and generic pharmaceutical competitors, to say nothing of biotech and medical-product companies developing alternative treatments. This strategic interdependence implies that the ability to anticipate your competitors’ strategies is essential. Yet a recent survey of business executives found that the actions and reactions of potential rivals almost never play a role in, for example, decisions to introduce and price new products.1 An important reason for this neglect, we believe, is that strategic-planning tools, such as game theory and scenario planning, are of limited use unless a company can correctly define the key elements of the strategic game, especially the strategic options and objectives of competitors. This is no easy task. Rare is the company that truly understands what its competitors and their decision makers care about most, how they perceive their assets and capabilities, and what all this means for their strategies. A company with such insights could reverse-engineer the moves of competitors and predict what they were likely to do. In a credit crunch, for instance, such a company would be well positioned to buy financial and nonfinancial assets at attractive prices if it knew that poorly capitalized competitors would avoid new risk and therefore not bid for these assets. Tensions on the Korean Peninsula have risen quickly this week on the heels of another long-range missile test, combined with public revelations that the Kim Jong-un regime may have miniaturized a nuclear weapon that can be mated to such a missile. If the North Koreans have also managed to solve the other significant challenges associated with a viable intercontinental ballistic missile (ICBM)—which is not at all certain—then they will have achieved an embryonic operational capability. We knew this was coming. Yet now that the rhetoric is running high, many are concerned that we are on the brink of nuclear war. Even though the possibility of such a war is remote, it has evoked understandable curiosity among the public regarding how the U.S. chain of command would function for ordering a nuclear strike, and whether or not sufficient checks and balances exist to prevent a costly mistake. On the face of it, it’s actually very simple: The president orders the strike, which is then passed to the secretary of defense, and directly to the appropriate four-star combatant commander (the chairman of the Joint Chiefs of Staff is in the loop to provide advice and transmit orders, but he is not technically in the chain of command). In the case of a nuclear strike against North Korea, the commander of United States Strategic Command, based at Offutt Air Force Base in Nebraska, would likely be the responsible commander (a conventional strike would likely be conducted by the commander of United States Pacific Command). HUNTSVILLE, Ala. — A U.S. Army microsatellite demonstrator is hitching a ride aboard a SpaceX Dragon on a cargo resupply mission to the International Space Station. 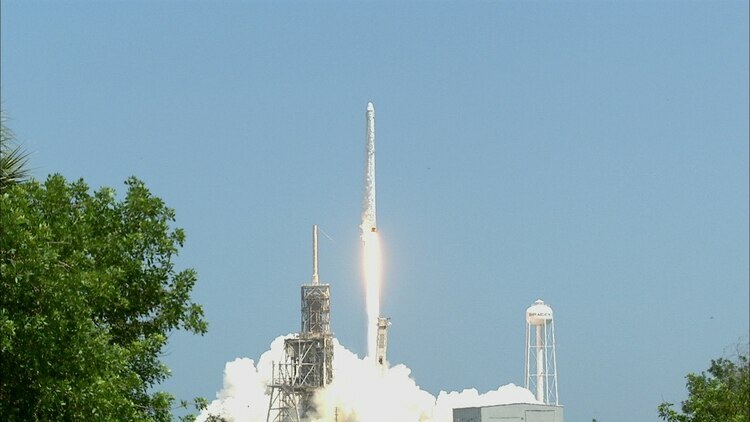 Roughly the size of a minifridge, the satellite — along with 6,400 pounds of supplies and equipment on the spacecraft, which launched Monday at 12:31 p.m. EDT — will reach the station on Wednesday. Kestrel Eye is a small, low-cost optical imaging satellite demonstrator that will test the utility of microsatellites in low-Earth orbit, providing images to war fighters on the ground at the tactical level during critical operations, according to Chip Hardy, the Kestrel Eye program manager at the U.S. Army Space and Missile Defense Command, or SMDC, and Army Forces Strategic Command’s Technical Center. While the objective system would provide images rapidly directly to the ground war fighter, the demonstrator will transmit images to a ground station at SMDC in Huntsville, Ala., and to a ground station in the U.S. Pacific Command, or PACOM, area of operation, Hardy told Defense News last week at the Space and Missile Defense Symposium. The images won’t be HDTV-crisp but will be transmitted at a “tactically useful resolution,” Hardy said. ABERDEEN PROVING GROUND: The Army is rapidly upgunning its 8×8 Stryker vehicles to better deter the Russians in Eastern Europe, as we wrote yesterday. But soldiers are still figuring out how they’ll use the new vehicles. And the service as a whole is struggling to update the entire armored force, from the 20-ton Stryker to the 70-ton M1 Abrams, let alone develop all-new vehicles the way Senate Armed Services chairman John McCain would want. This week, the focus here is on test-firing the new Strykers: the Dragoon variant with an unmanned turret holding a 30mm autocannon, and the CROWS-J weapons upgrade that adds Javelin anti-tank missiles to the rest of the Stryker force. The Army’s also looking to improve the Strykers’ defenses with Active Protection Systems to shoot down incoming missiles, but testing has just begun. By contrast, the Army’s built eight prototypes of the 30mm Stryker Dragoon— two of them have already been destroyed to test their defenses — and the first of 83 production vehicles arrives this month. The last of 83 vehicles earmarked for the Germany-based 2nd Cavalry Regiment (2CR) will be delivered in May. With the dual-hat responsibility of being the Army’s chief information officer and leading G-6, the Army’s communication and C4 division, its new head intends to focus heavily on the latter job. 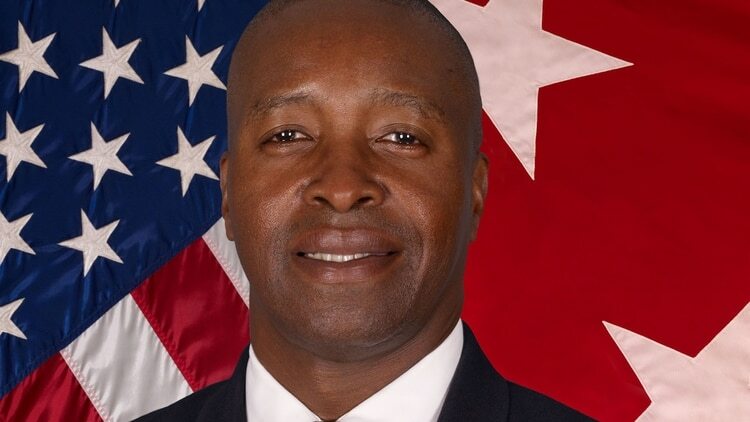 "I want to make sure that I pay close attention to the G-6 role," Maj. Gen. (promotable) Bruce Crawford said at TechNet Augusta on Thursday in his first public remarks since assuming the role Aug. 1 from retired Lt. Gen. Robert Ferrell. 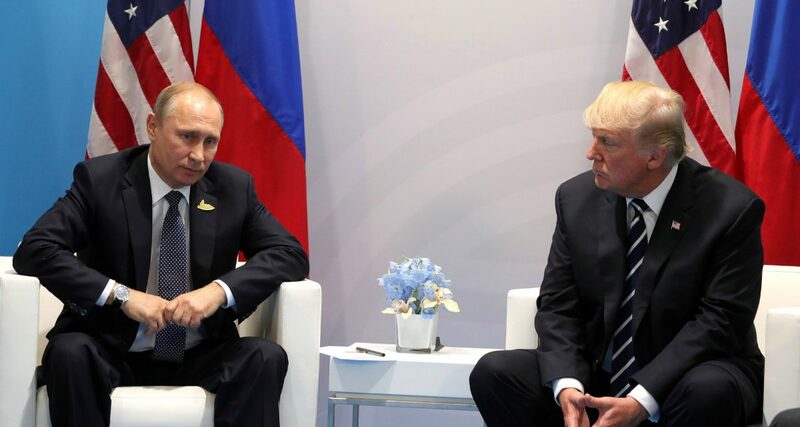 Following his remarks at the Augusta, Georgia-based conference, he told C4ISRNET there are several roles for the G-6 from a war fighter’s perspective. One involves ensuring the personnel with the proper skill sets are serving in the appropriate roles. “One of the big jobs of the G-6 is to make sure — especially down through the grade of major and captain — that we are putting the right people in the right places,” he said. This will involve more than hosting a forum, he added — there must be a solid relationship. The top ten Android apps in the world last month had a combined download figure of over 354 million. According to Priori Data, at the top of the list was the ever popular WhatsApp with 104 million. In fact, apps developed by Facebook account for the lion's share of the list, with WhatsApp, Instagram, Messenger/Messenger Lite and Facebook/Facebook Lite hauling in a combined 297 million downloads. I write and consult on digital transformation in the enterprise. Opinions expressed by Forbes Contributors are their own. President Donald Trump on Friday announced that U.S. Cyber Command will be elevated to a “Unified Combatant Command,” putting it on equal footing with existing organizations that oversee military operations in the Middle East, Europe and the Pacific. The move ends years of rumors, speculation and debate over when the right time would be to spin out the Pentagon’s cyber war unit, which has rapidly grown since its 2009 inception. The Obama administration reportedly came close to pulling the trigger in its final months, and Trump’s White House has reportedly also been on the cusp of making the move official for weeks. Before his inauguration, Trump vowed to bolster Cyber Command, potentially including the development of more cyber weapons meant to deter attacks on the United States. Palantir has made government surveillance big business. It’s a multi-billion dollar company built mainly on government contracts. Its tech prowess and computing power have made it the go-to company for data harvesting and many of its most loyal customers are local law enforcement agencies. Mark Harris of Wired has put together a fascinating expose of the company’s workwith US law enforcement based on documents obtained via FOIA requests. What’s uncovered does little to alter Palantir’s reputation as an enemy of personal privacy. What’s added to this rep isn’t any more flattering: the documents show Palantir handles data carelessly, ties customers into overpriced support/upgrades, and otherwise acts as though it has to answer to no one. As more of our personal information goes online, it becomes even likelier that we will be personally affected by some type of hack.